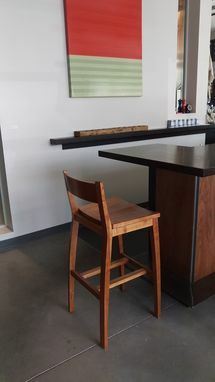 These bar stools are designed with ergonomics in mind. Available backed or backless, graceful curves eliminate sharp and uncomfortable areas throughout. The footrests will fit those of all sizes. 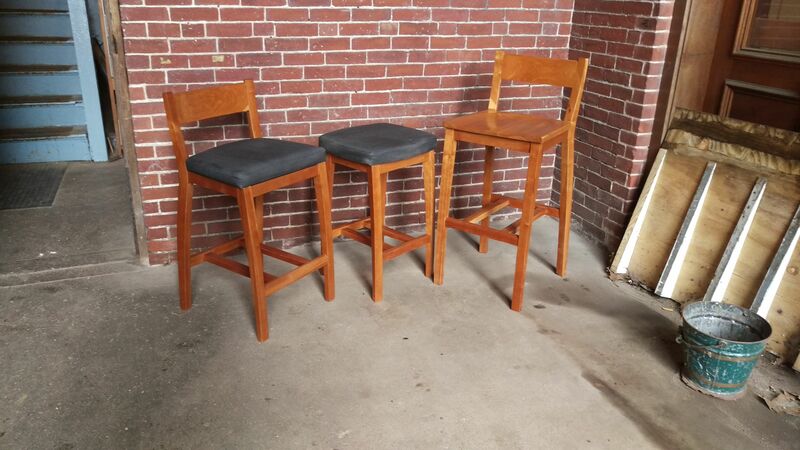 Available in counter or bar height, these stools will fit in home bars, kitchen islands, and tables alike. Their compact size fits well into large kitchens, cozy apartment settings and those areas in between. Seats are upholstered with Sunbrella® fabric which can be washed easily and will resist fading. We find that slate provides an excellent neutral color. For a full selection of fabrics please visit the Sunbrella® website. We will also send you non-upholstered seat blanks if you would like to have them done yourself! We will send them out ahead of the rest of the order. Solid wood seats are also available. Please include with order what type of seat you would like. This allows these pieces to stand up for a lifetime in heavy traffic areas. They will not develop the wobble or creaking many of us are familiar with. Each space is different and it can be overwhelming to decide on a style for furniture. I'll be happy to answer questions on furniture sizing and styles. The footprint of the stools is 18.5 deep by 17 wide. The seat size is 18.5 wide by 14 deep. I make heights for counters(35-37) and for bars(41-43). 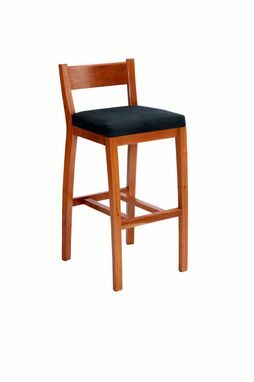 Counter stools have a seat height of 26 and a back height of 35.5. I looked, off and on for over a year, to find a pair of bar stools. No luck. I finally decided to give Custom Made a try and contacted George Beland Furniture. George was very easy to work with. 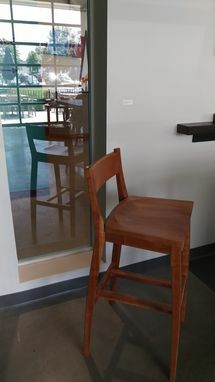 I told him what I wanted, he made some good suggestions, he sent me a drawing, and together we came up with the perfect stool. He completed the project on schedule and the stools arrived as promised. I love them. They are exactly what I asked for and the workmanship is great. I couldn't ask for anything more. I am very happy with my experience with George Beland Furniture and would work with them again.